Oppo A33F was launched in Novemeber, 2015. The phone is packed with 16 GB of internal memory. Here you will find official driver for you device. 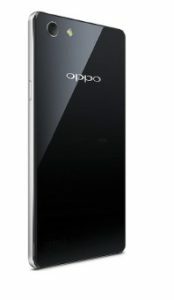 Oppo A33F support dual-sim. It is powered by 2400 mAh battery to support its large display of 5.0 inches. The connectivity option in the phone include WLAN, Bluetooth, GPS and USB and Radio. You can also expand the storage memory to 128 GB via micro-SD card. Oppo A33F is equipped with 1.2 GHz processor and 2 GB RAM that contribute a lot to the better performance of the phone. Oppo is popular for its camera as it is known the selfie expert smartphone. Regarding this, Oppo A33F offers 8MP Primary camera and 5MP secondary camera for selfie shooters. The OS version installed on the phone is Android 5.1 (Lollipop). Oppo A33F price in India Starts at 13,990. ADB drivers are used to connect you phone to a computer successfully. Let us know in the comment section if you have any problem related to this article.